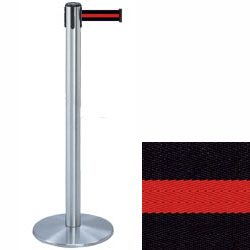 These silver stanchions with red stripe belt are ideal for controlling crowds because they can form lines and other shapes. 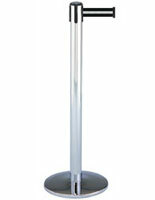 With each floor standing post is a round weighted base that provides stability for high traffic environments. 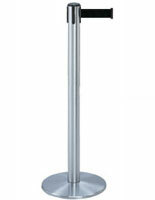 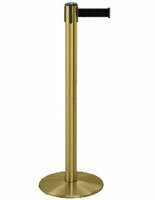 The silver stanchions also feature a sleek chrome finish that will give a professional edge to any establishment. 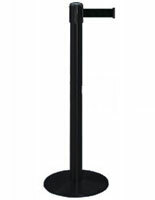 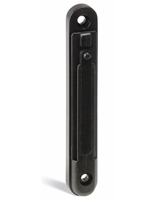 The stands come with a 7.5' retractable belt that measures 2" wide.